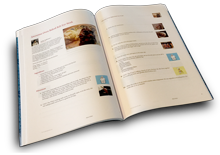 Yes, we have another cookbook with Kentucky's cooks and there recipes. You are welcome ! Compliment much deserved. Neat Cookbook !! Good Job ! LOL...Take away ......where to ??? Thank you Nancy, I would like to do another, but it may take away. Kentucky cooks....Some of the best!